The CNA salary in MA (Massachusetts) depends on the area of the state you work, your time spent working in the occupation, and the specific type of medical center you are employed at. Certified nursing assistant jobs are expected to have a growth of about 21 percent over the next 10 years according to the Bureau of Labor Statistics. In Massachusetts, the salary of CNAs is reasonable to match basic cost of living expenses for the state. In the United States, the average salary of certified nursing assistants is around $18,000 to $32,000 every year. Massachusetts is offering CNAs an average salary ranging from approximately $24,000 to $31,000. The average hourly rate is about $12.15 and can even increase up to $18.05 or more per hour. The wages of certified nursing assistants depend on which facility they are working. Listed below are various employment settings with the corresponding average income for each year. The pay range of CNAs are determined according to educational background as well as exposure. When the individual possesses these criteria, good deal of salary wage can be obtained for income. It is advantageous when certified nursing assistants have experience because they are able to do negotiations with regards to pay scale. Experienced CNAs are offered with higher salary wage. They can apply to higher positions in bigger organizations which include the hospitals and private facilities. Entry-level certified nursing assistants or those with less than one year work experience are usually hired at lower pay scale. It is essential that they gain experience by starting to work in nursing homes or district schools. In this way, they will have better exposure and experience which will lead them to getting hired by employers who offer bigger salary wages. The location of the job is also a factor as to how much workers earn. CNAs living in cities are paid with higher rate compared to those who are living in the rural areas because of the cost of living. Another factor that influences the salary of certified nursing assistants is the employer. The amount of salary that CNAs receive are dependent on how much the employers give. 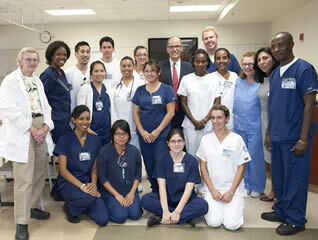 Employers also base their pay rate offer on the experience of the applying certified nursing assistant. To learn more about getting started on pursuing your certification you should visit the CNA classes in MA page to learn more about the training opportunities in your area. Trainees will be required to go through a classroom based training program that includes skills practice and preparation for the state certification exams.